Vancouver Division has a Guard Coordinator and four Honour Guard teams that attend funerals or memorial services for deceased ex-members and retired members. 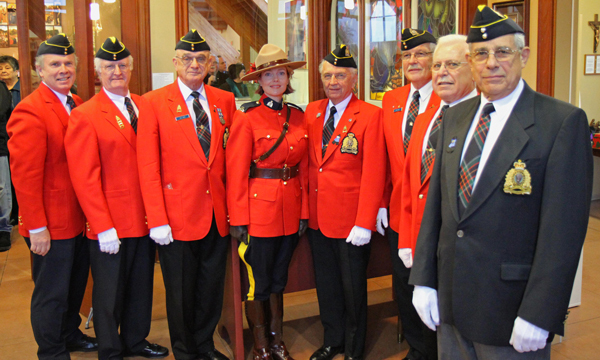 To arrange for an Honour Guard, contact Guard Coordinator Dan Lemieux at 604-988-7421. The Guard Coordinator will make all necessary arrangements, including the attendance of two Serving Members of the Force. 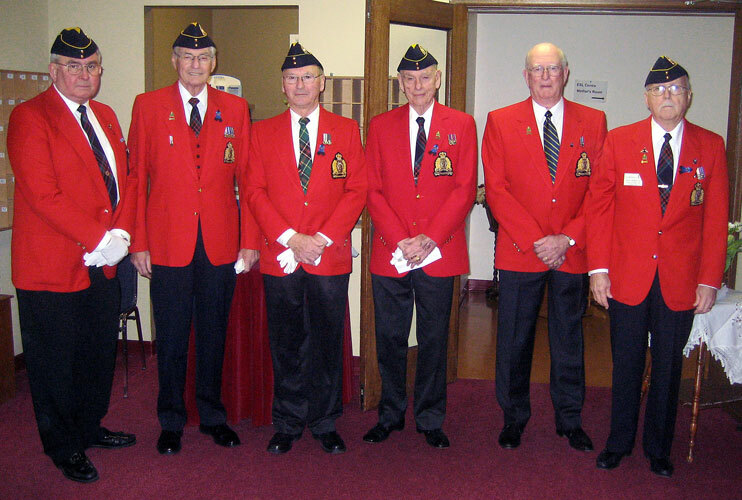 The Guard Coordinator will notify the membership of the time, date and location of the service and will, if requested, assist the family in other related matters. The Honour Guard protocol is approximately 3 minutes long and occurs at the end of the service. The protocol is as follows. The Honour Guard will enter the church or memorial service as a unit and take seats in the front row across the aisle from the family. They sit quietly through the service too provide support and comfort for the family. At the conclusion of the service, the Guard Commander will direct the Honour Guard to take post. A trumpeter will play the “Last Post“, followed by a moment of silence. The trumpeter will then play “Reveille” (signifying resurrection) while the Guard Commander salutes. (A CD is used for the trumpet calls). With permission of the minister or person in charge of the service, the Honour Guard will proceed the family to the exit and line-up on either side of the doorway. All Honour Guard members wearing headdress will salute the family as it leaves the room. The Honour Guard members attend to pay last respects and say farewell to a friend or colleague. There is no cost to the family for this Honour Guard service.